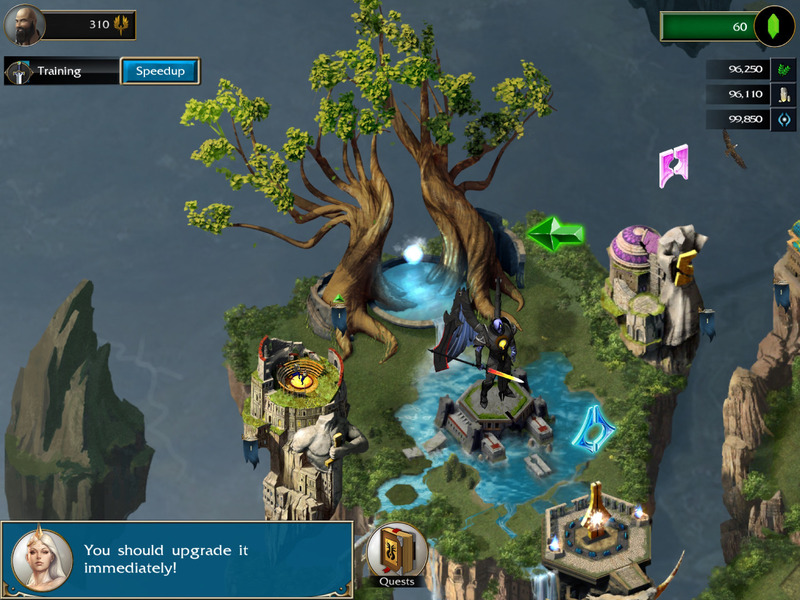 Sky Wars: Archon Rises is a solid, if somewhat generic, resource management strategy game, with a fair amount of click-and-wait and IAP to monetize. A generic half-dressed female NPC leads players through “tapping to improve” in a tutorial that is much too long for a fairly generic combat MMO. 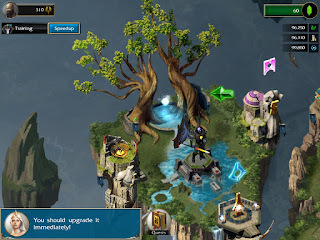 If you like tapping to improve, collecting resources, building and improving your army and the other usual combat MMO standards, Sky Wars provides a gorgeous background to do this. Fortunately, I found a code to unlock more gems in the game, otherwise I’d still be tapping to improve and waiting to acquire resources before I could really get into the game. (The code can be found at DownTheScreenhole’s tongue-in-cheek review of this game). Sky Wars’ visual style is appealing to the sight. It blends beautiful world building backgrounds, fantasy weapons and monsters, as well as creative tile improvements. On the hex tile system of land expansion, building improvements are often circular or hexagonal, and it really works with both the overall feel of an exotic world and clear visualization of a player’s improved tiles. In general, the game’s clear UI reminded me of trading cards. 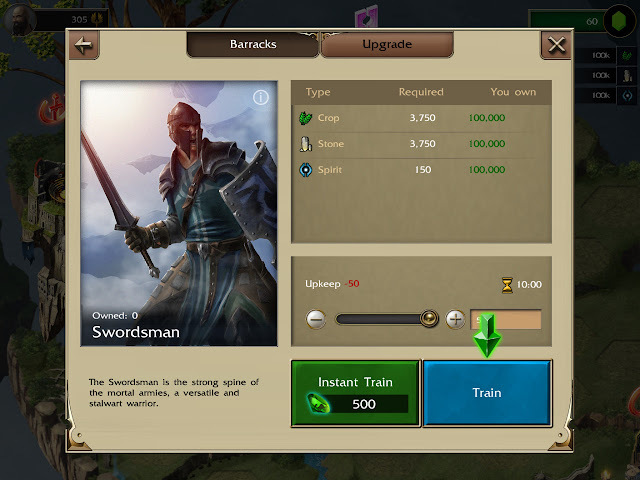 The stats of player troops and enemies especially resembled collectible card games. With the artistic effort invested in a distinctive and gorgeous world, it’s almost confusing as to why such amount of detail was placed over a generic army MMO game.